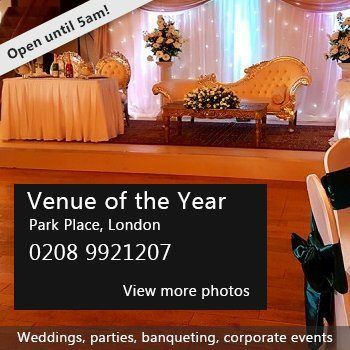 Perfectly located, with good parking and rail links, The place is the perfect choice for all your venue hire needs. Weddings, Anniversaries, Birthdays, Children's Parties (with Bouncy Castle), Concerts and Live Bands, Meetings, Conferences, Training Courses, Quiz Nights, Charity Events, Dance/Exercise Classes, Fairs, Exhibitions - We have rooms to suit all of your needs. Whatever your planning we can accommodate it. The Main Hall - Situated on the ground floor, our Main Hall is a large versatile space which can be used to host a variety of celebration. With its own licensed bat and a capacity of up to 250 people, this function room can accommodate everything from weddings to wakes, balls to birthdays. With a choice of 6ft round tables or rectangular trestle tables and chairs, we can configure the hall to any specification prior to you arrival. White table linen is available to hire upon request. With a large projection screen and staging available to hire, the Main Hall is perfect for any type of event. Planning a Family Celebration with lots of Children? Party packages are available which include Main Hall Hire plus exclusive access to our children's soft play area for up to 2 hours. The 'Fun Zone' includes a slide, netted climbing areas, rollers and inflatables, perfect to keep the under 8's entertained in a safe, enclosed environment while the adults celebrate in style. With it's high ceiling the Main Hall is also the ideal place to hold your child's Bouncy Castle Party. With plenty of room for more than 1 castle, and still lots of room for the little ones to run around, and an alcove to put the food, out of the way, this really is the ideal venue for this type of party. You can even decorate the hall with your own choice of balloons, banners or themes to make it extra special for the birthday boy or girl. The Function Room - Situated on the ground floor, this lovely room has its own offset licensed bar area and has a capacity of 150. This Room also has a removable wall, so that the bar area can be separated off from the main hall. A perfect venue for parties and conferences. With a choice of 4ft round tables or rectangular trestle tables and chairs, we can configure the room to any specification. The Dance Studio -Our Dance Studio has a wall of mirrors and is perfect to hire for exercise classes, dance troops, martial arts etc. Situated on the ground floor, our Dance Studio can also be utilised for Children's Parties, Meetings, Workshops and Training Courses. The Foyer Meeting Room - The Foyer Meeting Room is situated on the ground floor and is ideal for business meetings, training sessions, workshops and presentations. We have 2 medium sized rooms on each of the first and second floors, which can be merged together to create a larger space. The First floor also has a licensed bar, making it a great place for smaller parties. Our smallest room is located on the second floor and hosts 3 people. It is ideal for meetings, singing lessons, tutoring, 1:1's, or just a quiet place to work. Children's Fun Zone - Our soft Play area is a great place for Children under 8 years old, with a dedicated area for under 5's. Including a slide, netted climbing areas, rollers and inflatables it's the perfect area to keep the little ones entertained in a safe, enclosed environment. The perfect place for Children's parties, it can also be hired for exclusive use, by the hour, when you are having functions in any of our other rooms. It is also available for casual use, a FREE loyalty card is also available. Snooker Room - Boasting a Full sized snooker table, our private Snooker Room is perfect for seasoned players and novices alike. Available to book by the hour for a one off game, or why not make it a regular thing? You could also book our Snooker Room as part of your package when booking a party in the Function Room. There have been 0 reviews of The Place, Pitsea Leisure Centre. If you would like to send The Place, Pitsea Leisure Centre a booking enquiry, please fill in the form below and click 'send'. Perhaps some of the following halls within 5 miles of The Place, Pitsea Leisure Centre would also be of interest?